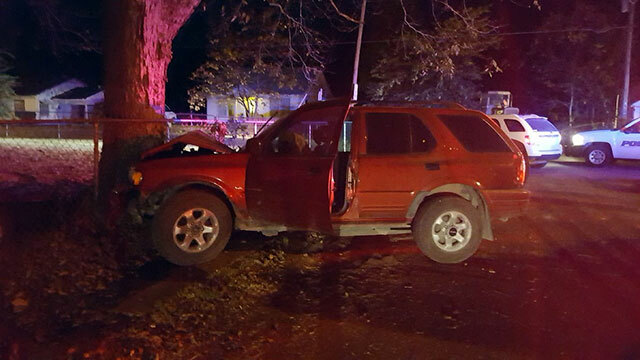 Saturday night somebody couldn’t decide whether to go straight down the road, or turn…so they split the difference and crashed into our fence and pecan tree. 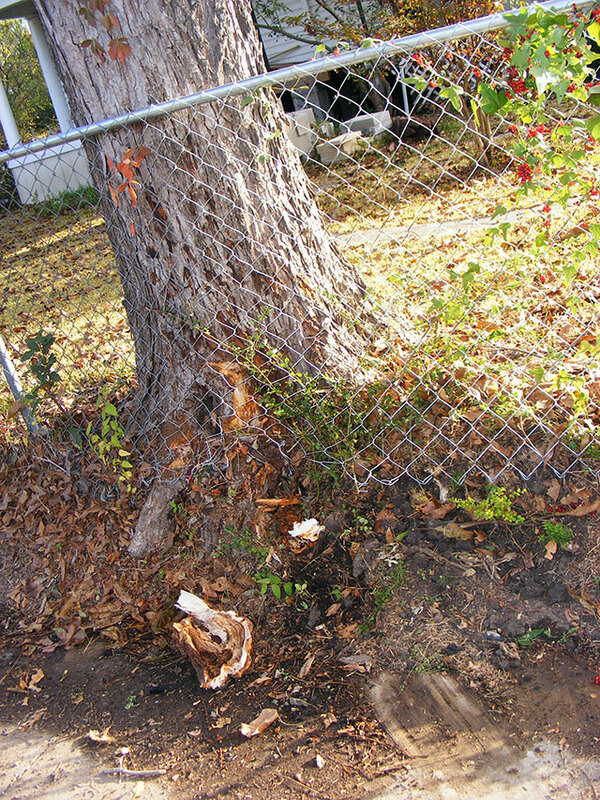 Instead of crashing through the fence, they head-on-ed our massive pecan tree. Poor choice. I expect the car is totaled. As I understand it, the occupants fled the scene. There are no signs of skid marks or any attempt to stop. I’d hazard a guess that “Alcohol was involved” appears somewhere in the police report. 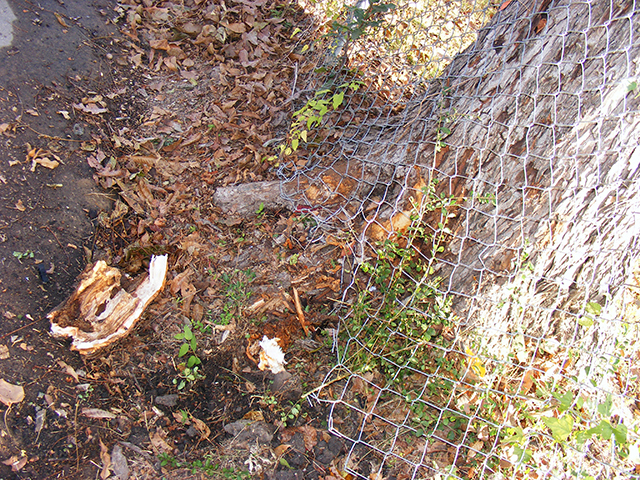 Our damage consists of a chunk of tree root, some bark knocked off, and minor bent up fencing wire. 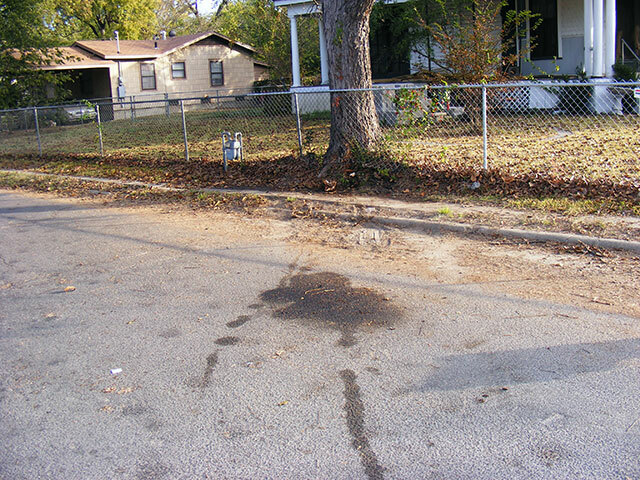 No real attempt to stop…the “splotch” on the pavement is from the car bleeding to death as they dragged it out to load on a wrecker). … especially if you paint them Hi-viz orange!